If you ever bother to take it out of the house, that is. 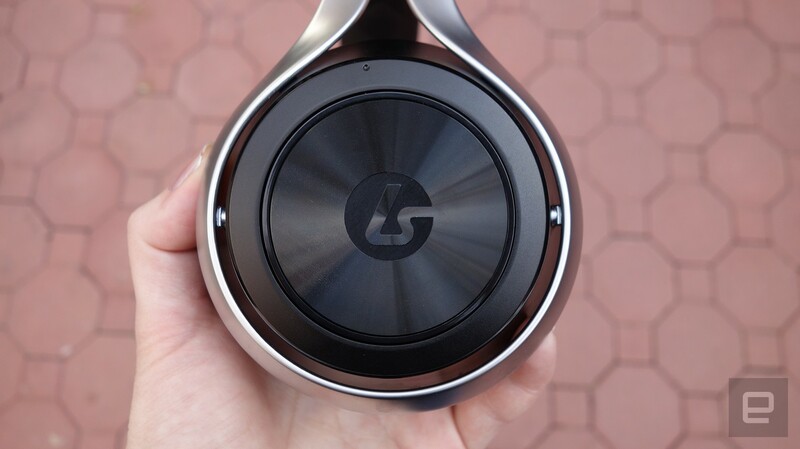 Last month when I was putting together a list of gaming headsets worth buying, I spent a lot of time reading about audio quality. Which headsets delivered the best highs and lows for music, how clear were the sound effects and how immersive was the surround sound? There was also plenty of talk of how each headset looked and, though plenty were deemed passable, "beautiful" and "gorgeous" are words I didn't hear often. Although there's a plethora of attractive high-end headphones on the market, the same can't really be said for gaming headsets. LucidSound, the new company from the founders of headset-maker Tritton, is aiming to change that. 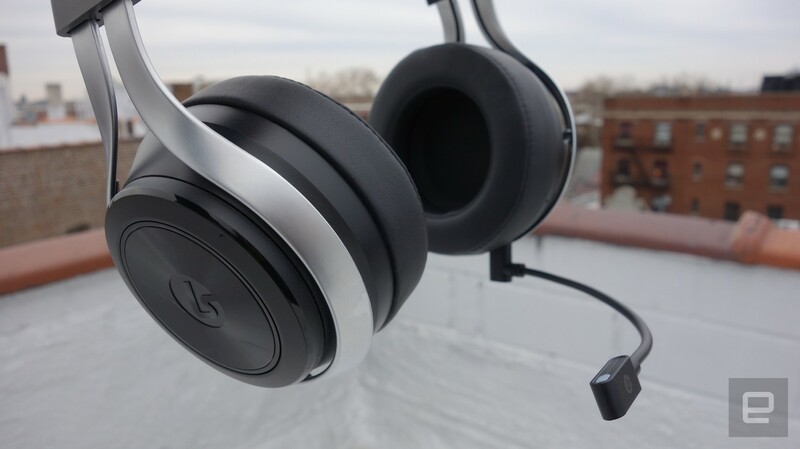 Its $150 LS30 headset packs clear, balanced sound into a pair of gorgeous cans that don't scream "LAN party at my house!" The LS30 oozes quality the moment you take it out of the box — perhaps that's why I was disappointed to see that LucidSound didn't include a carrying case. How was I supposed to keep these beautiful, sleek lines perfect? What kind of torments would my gear bag wreak upon its brushed metal chassis and shiny black ear cups? Well, that's the thing: I'm not supposed to put the LS30 in my bag. I'm supposed to wear the damn thing proudly because the point is to make a fashion statement. And what a statement it is. 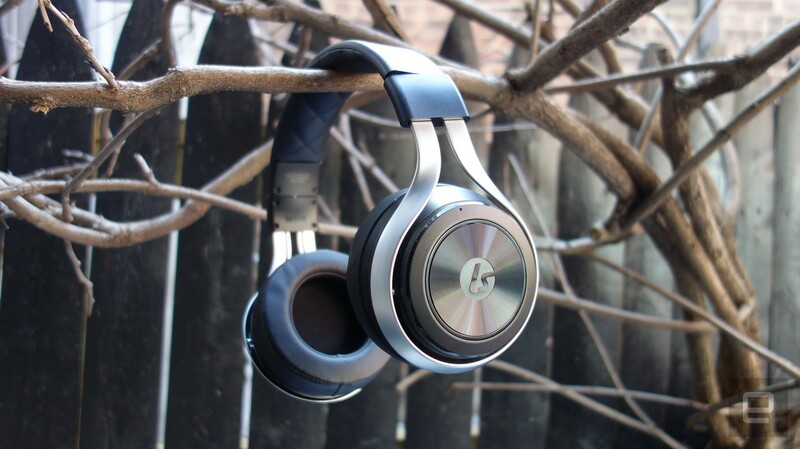 While many headsets stick with bright colored plastic, the LS30 has a brushed aluminum build, with a graceful swoop of metal circling each ear. The headset feels a tad heavy, and that's thanks in part to the generous padding. The leather ear cups surround my ears perfectly and the cushioned band sits snugly against my scalp, making for a fit that I would describe as "pampered." 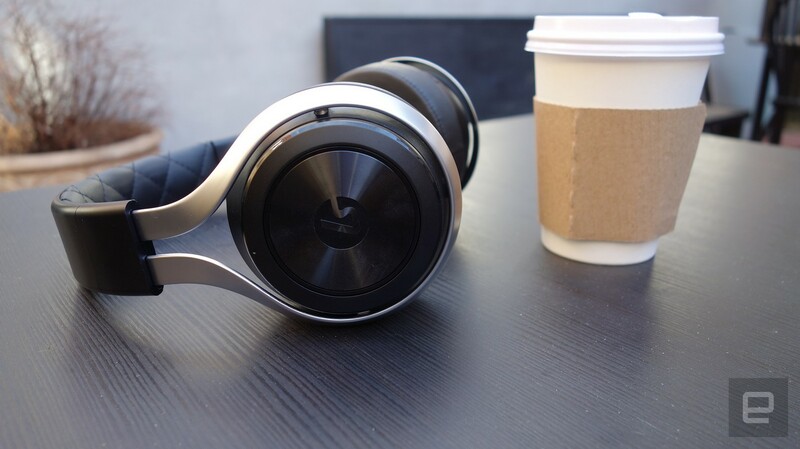 The outside of each ear cup is a grooved plastic surface that reminds me of a vinyl record. It's not just a nice aesthetic touch, though: The LS30's controls are built right into those shiny discs. On the right cup, you can turn the disc back and forth to adjust game volume, or click the button in the middle to mute it entirely. The same controls apply on the left cup for the mic. At least, that's how it's supposed to go. I spend most of my time on my laptop, so it made sense to use the LS30 there so I could listen to music and videos while I work. All I needed to do was plug in the wireless receiver and I should have been good to go. However, even with the headset charged up and turned on, nothing came through at first. I spent a few minutes fiddling with the volume controls and resetting the dongle before I finally heard some music. But something wasn't right: The buttons had been swapped, placing the mute for the mic on the right side with the game volume. Not a deal breaker, but also not intuitive. When I asked LucidSound if this was something that could be corrected, I was informed that the headset wasn't really meant to be used for PC gaming, a statement supported by the description on its website. The LS30 is a console gamer's headset, compatible with PS4 and Xbox One as well as the older PS3 and Xbox 360. Good thing about those last two: I only have a PS3 and a Wii U right now, with the latter lacking the optical port needed to interface with this headset. Despite its stated incompatibility with my Windows machine, the LS30 still performed admirably. While wearing it I listened to some tracks on Spotify, including the Hamilton cast recording, some Imogen Heap and the Mad Max: Fury Road soundtrack. I was immediately struck by how absolutely even and smooth the music sounded. It was pleasant and bright, with no underwhelming highs and definitely no overwhelming lows. 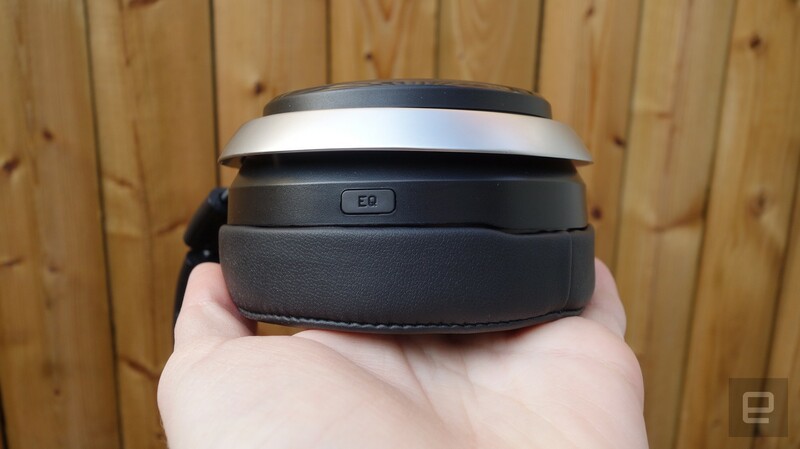 It was nice to hear a well-balanced headset, especially one configured as such right out of the box. However, if you do favor bass or treble, there's an equalizer button on the right cup that lets you switch it up. A series of tones will tell you which you've chosen: One beep for normal, two for bass and three for treble. Similar audio cues exist for the mute button, with an upward chime signifying "sound on" and a downward chime to tell you when you've just muted the headset. The ear cup controls combined with the clear communication from the headset really made for a pleasurable user experience while I was using it with my PC. However, the LS30 is really meant to shine on a game console, and that takes a little more setup than simply plugging it into the USB port. 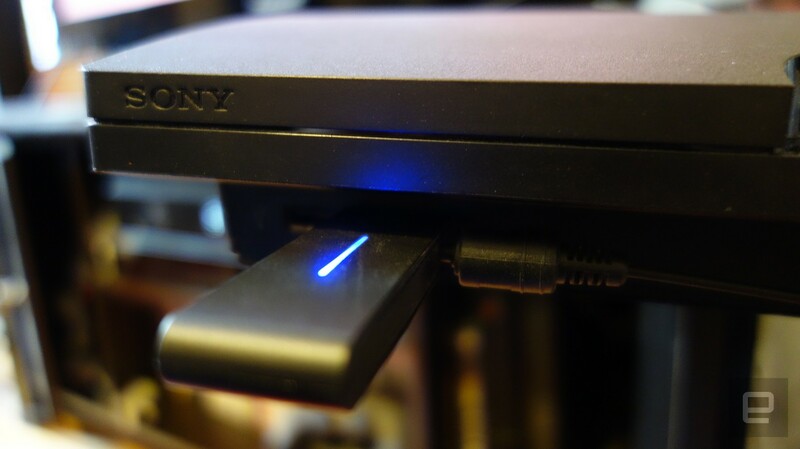 It's not overly complicated: You plug the USB receiver into the console, and then attach the included optical cable into both the receiver and the back of the system. The hardest part was getting to the rear of my PS3 to plug the cord in. I changed the audio source on the PS3 to "optical," and the system pre-selected the proper channels. Easy. The only real issue is having to go into audio settings whenever you want to switch back and forth. This was a real bummer when I fired up Mass Effect (notorious for its long load times) and had to back out of the game before I could try it with the headset. So how did it sound? The crunch of snow under Commander Shepard's boots came through crystal clear, along with every rifle blast and explosion. I toggled through the various equalizer settings to discover that, yes, the bass boost did an admirable job of pumping up the low-end but never overwhelmed the rest of the range. It was just more noticeable. The same goes for the treble boost, though I wouldn't recommend it. While high-end sound effects and voices stuck out more, it wasn't really pleasant to listen to. Given its space setting, Mass Effect tends to favor more mechanical, metallic sounds, so I played a few other games including Dragon Age: Inquisition and Assassin's Creed: Revelations. Sounds like the whisper of clothing and the jangle of armor were incredibly audible and distinct. Fantasy and historical settings are well-served by the LS30's default sound profile, though I found myself toggling between balanced and bass-heavy for Mass Effect's science-fiction theme. What type of person am I? Well, I'm a person who could wear the LS30 for hours. It feels great on my ears and I like the way it sounds. I'm disappointed that it's not optimized for PC use because the majority of my headset use is on a computer, either listening to music while I work or playing a game on my laptop. When I'm playing a console game, I'm playing it in my living room, so a wearing a headset isn't necessary unless it's 2 a.m. and I'm trying not to bother my neighbors with loud gunfire. In that case, I don't really need my headset to be stylish because there's no one around to impress. I just want to it to be because I'm also the type of person who puts on pants even when I don't leave the house. Sometimes it feels good to look nice. And the LS30 looks very, very nice. All products recommended by Engadget were selected by our editorial team, independent of our parent company, Verizon Media. If you buy something through one of our links, we may earn an affiliate commission. Kris runs Engadget's awesome product database with an iron fist. She's also written stuff for Anime Insider and Anime News Network, as well as a lengthy stint editing Pokémon things for The Pokémon Company. She still plays the games and seriously can't believe there are 807 Pokémon now. And the Mueller Report came out on CD-ROM. Embedded browser log-ins are prone to man-in-the-middle attacks, after all. It's not public yet, but that's how these things start. Toyota, Softbank and Denso teamed up on a deal that values Uber ATG at $7.25 billion. A ransomware attack reportedly prevented the network from broadcasting live.